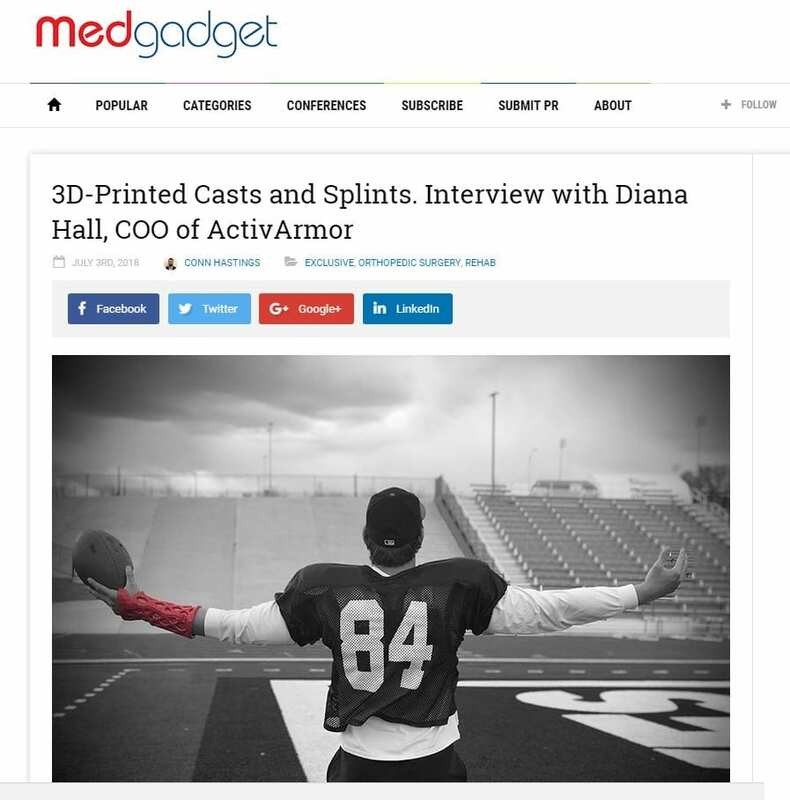 Medgadget, and independent blog site, run by doctors and biomed engineers, recently interviewed Diana Hall, founder and president of ActivArmorTM, maker of the first and only commercially available waterproof, breathable, fully custom, 3D printed casts and splints. 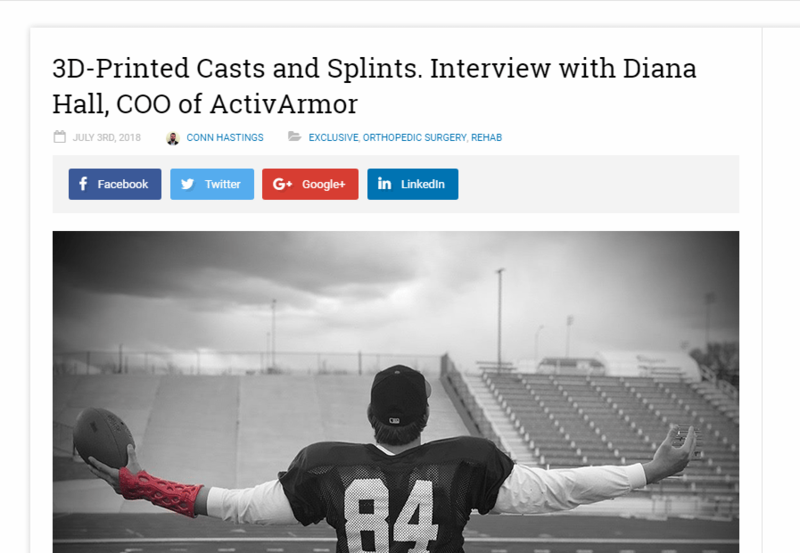 In this in-depth interview, Medgadget explores the unique technology and clinic value of ActivArmorTM. In addition, the story of how the company was founded, over 3 years ago, and its successful growth to date. « ActivArmor Launches in New York City!